[tps_footer]From the time she entered Bollywood she is considered as the Fashion Diva of Bollywood. She has never disappointed us with her fashion, we adore her. 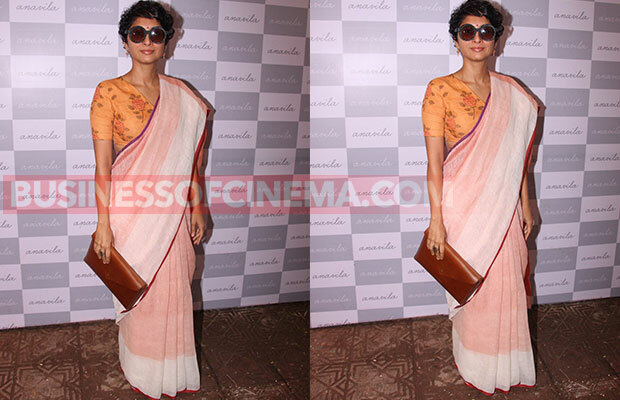 Yes, we are talking about Sonam Kapoor the fashionista. Sonam Kapoor makes us spellbound with her fashion styling. 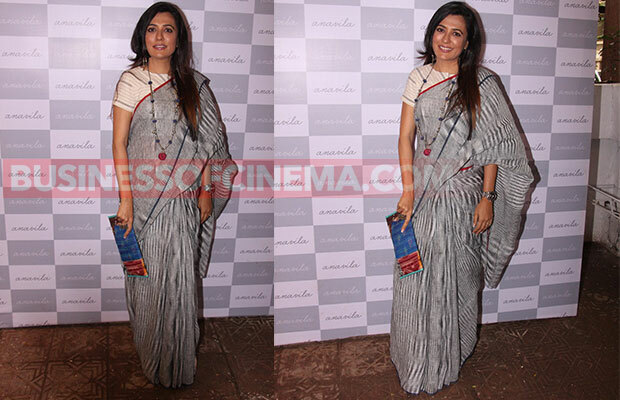 And yesterday too she amazed us in a linen Anavila Misra saree ideally styled with her oxidised jewellery. 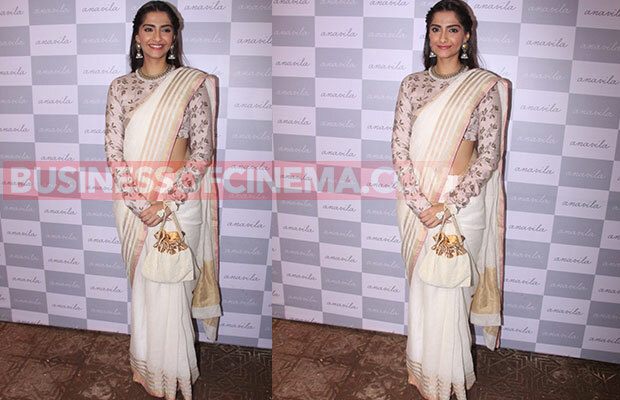 At the store launch of Anavila, Sonam Kapoor was called for the event where she was seen wearing a white linen saree designed by Anavila Misra. Though the saree was simple it was elegant and Sonam definitely knows how to look perfectly gorgeous. 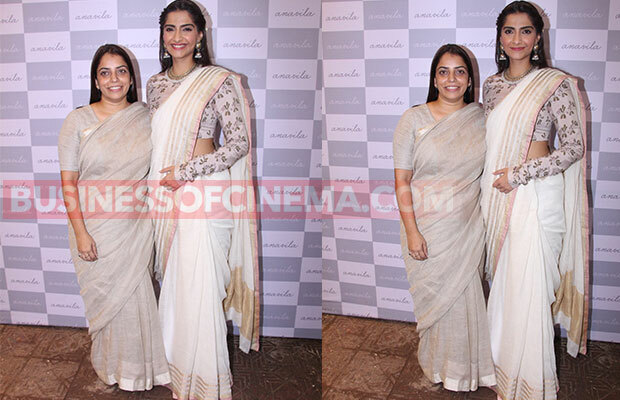 The store had some cute dolls wearing Anavila saree, and Sonam Kapoor was delighted to see them. She was spotted playing with the doll and talking about how she liked the concept. 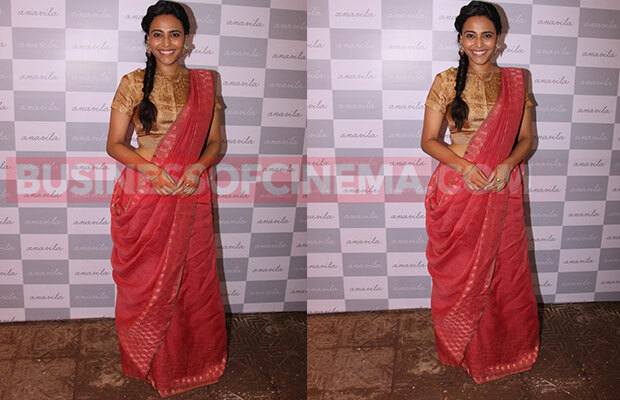 Besides Sonam Kapoor, actress Swara Bhaskar, Tisca Chopra and Amir Khan’s wife Kiran Rao too were present at the event. 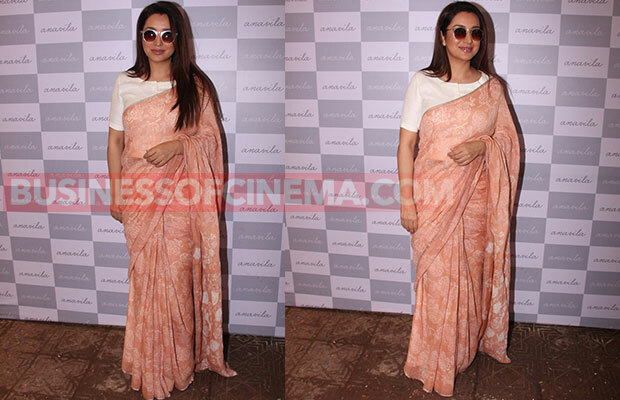 This three celebs also looked pretty in saree. Sonam Kapoor totally rocks in every outfit she wears be it Saree, or some traditional outfit or any western outfits. Have you seen her in Pyjamas? Sonam Kapoor looks the best in her comfortable outfits.